Do you own at least two Google Home devices? Any combination of Google Home, Home Mini, Home Max, or Home Hub will suffice. Two of one, one each, whatever. Did you know that you can create a multi-room playback experience where you can play music and other audio across the whole house? You’ve already got everything you need to do so. One of the best things about Google Home units is that they can work independently as well as together. This is great for when you have music, podcasts, audiobooks, or something else you’d like to listen to around the home. Let’s say you’re cleaning the house on a Saturday morning and you find yourself going from room to room. The last thing you want to do is pause playback for a few minutes at a time; you want that playlist to pump no matter where you are in the house. If you own multiple Home devices, you definitely want to set things up so you can create multi-room playback. The next time you throw a party or backyard barbecue you’ll have music everywhere and look like a hero. Setting this up is as easy as it gets. All you really need to do is open the Google Home and follow a couple of quick steps. Before proceeding, ensure that your audio devices are set up on the same Wi-Fi network and that your phone is connected to it. In the top right of the menu look for Devices icon to see your available audio devices. You’ll see all of the speakers and devices on the same WiFi network as your Google Home. Simply tap the box next to the items you want to add to the group. After a few moments you’ll see the group as a card in the Home app; you’ll be able to control it via voice or cast to it inside of an app. Note that Chromecast audio devices can be added to a group as well as Google Home speakers. 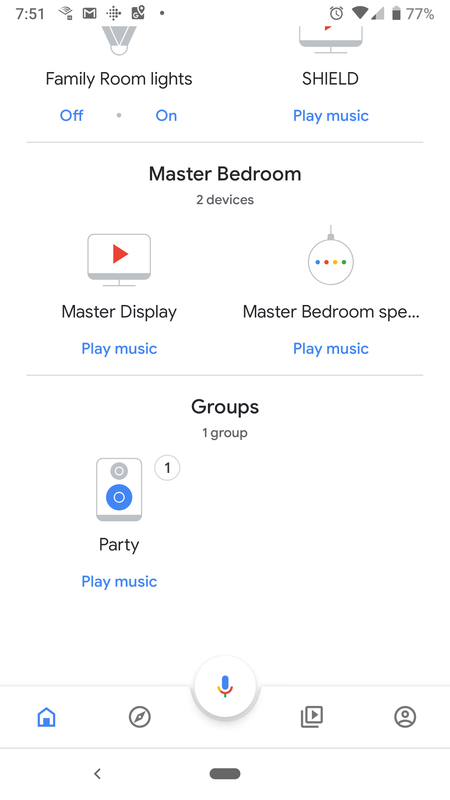 From here you can simply tell your Google Home, or phone, to play a particular song or playlist on your group.